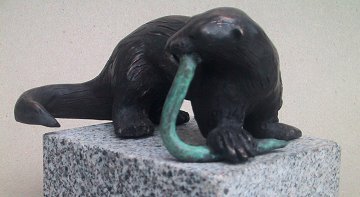 These small bronze sculptures (approx. 6" x 5") were cast from clay models at Callow Bronze Foundry, Co.Mayo, Ireland. 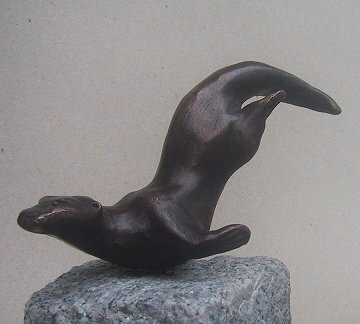 ​The Otter series I modelled in clay, from sketches I made while on a visit to the Otter Trust, in Suffolk, England. 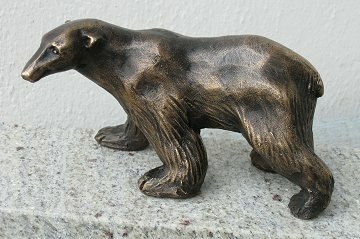 ​ The Polar Bear was also modelled in clay from sketches done in Dublin Zoo. I have only 3 out of a limited edition of 8 left. €1,000 each.